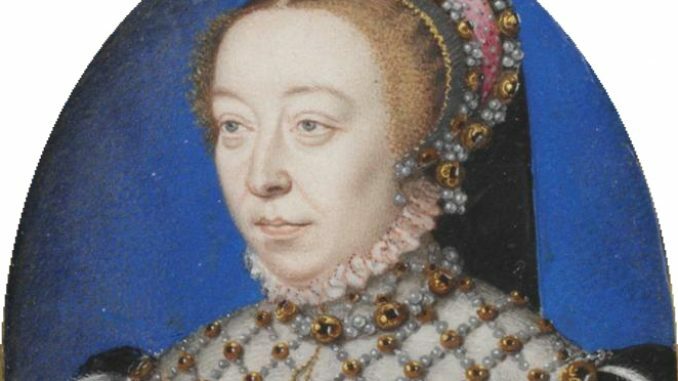 To celebrate the 500th birthday of the formidable Catherine de’ Medici, we will be posting seven articles over the next seven days about her. This is the second, and it will focus on her time as Dauphine and Queen consort of France. On 19 January 1544, Catherine gave birth to a son named Francis for the King, who had been present for the delivery. Over the following years, Catherine would give birth to nine more children, of which seven would survive to adulthood: Elisabeth (born 1545), Claude (born 1547), Louis (born 1549 – died young), Charles (born 1550), Henry (born 1551), Margaret (born 1553), Hercules (later renamed Francis) (born 1555) and twins Victoire and Joan (born 1556 – Joan died during birth, and Victoire died a few weeks later). 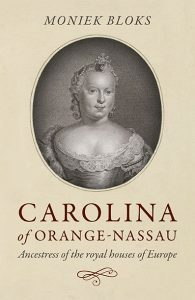 Catherine’s children did not inherit her sturdy constitution, and almost all were considered sickly. The birth of sons made Catherine a celebrated woman but Diane took over the mothering role, and Catherine could only accept that there were three people in her marriage. Catherine sent a constant stream of letters to inform after her children. In 1548, the young Mary, Queen of Scots joined the royal nursery – having been sent to France for her safety. In 1548, Henry finally gave Catherine an important sign of his respect for her; he made her regent in his absence, though her actual political powers were limited. Shortly after the birth of Louis, Catherine would finally be crowned as Queen of France. On 10 June 1549, Catherine rose at dawn, and by 11 o’clock she was ready. She wore a robe of green-blue velvet embroidered with the fleur-de-lys in gold thread, and it was edged with ermine. Her bodice glimmered with diamonds, rubies, emeralds and pearls. She was anointed with holy oil, a ring was placed on her finger, and a sceptre was placed in one hand and the “main de justice” in the other. The great crown was placed on her head by Antoine de Bourbon, and it was almost immediately replaced by a lighter and smaller crown. In 1556, Catherine nearly died giving birth to twin daughters. The first baby was born safely but the second did not want to come, and Catherine quickly became weaker. Eventually, the second baby had its legs broken to remove it, and little Joan was stillborn. The surviving daughter was Victoire, but she too died only weeks later. They would be her last children. In 1558, the marriage between her eldest son and Mary, Queen of Scots took place. They would be known as the King-Dauphin and the Queen-Dauphine to remind everyone that Francis was now also King of Scotland. Catherine’s eldest daughter married King Philip II of Spain the following year and Henry’s sister Margaret – already 36 years old – married Emmanuel Philibert, Duke of Savoy also in 1559.